Diane West is an Ergonomist and Work Health and Safety Advisor with 15 years experience preventing injuries and improving productivity in industrial, manufacturing, educational and office workplaces. 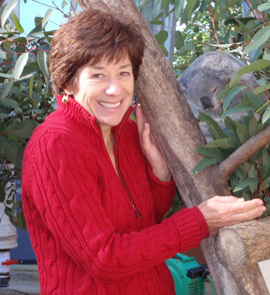 Diane is a Chartered Professional Member of the Safety Institute of Australia (SIA) and a long standing member of the Human Factors and Ergonomic Society of Australia (HFESA). Diane's areas of expertise include ergonomic computer, industrial and laboratory workstation evaluations plus manual handling and mobile equipment risk assessments. . Having been a clinical Physiotherapist for 20 years treating injuries, Diane understands the impact of unsafe work practices on the body, the worker and your business. Diane is now passionate about preventing injuries from occurring in the first place and has proven her ability to work collaboratively with management, workers, unions and engineers in the development of effective risk control measures. Diane West has experience in large manufacturing sites having worked for Ford Motor Company in Victoria. Diane was an approved OHS auditor in the NSW WorkCover's Premium Discount Scheme where she worked with small and medium businesses to implement quality WHS Management Systems. She worked for Unisearch as an expert witness in manual handling and heavy vehicle seating compensation claims. In ACT and Washington DC, USA Diane conducted office, call centre and laboratory workstation evaluations and training for companies such as DFAT, CSIRO, CentreLink, CareFirst, Raytheon, and KPMG. For small and medium sized companies (such as child care centres), Diane has developed workplace specific manual handling training plus WHS policies and procedures. Diane has recently introduced the Participative Ergonomics for Manual Tasks (PErforM) program into the City of Gold Coast Council. Certified Practitioner of the MBTI Step I and Step II Instruments. "Together we can make your workplace the safest, healthiest and most productive in Australia."